So, how does your church comprise weekly worship teams? Is it the same group each week or do you rotate musicians, vocalists and tech leaders? I have experienced both ways. For a while, we had a basic core group in our church each week. Additionally, during the summer camp ministry, we’d have one full time band that served together every day for two straight months. Currently, however, as the summer ministry has changed, we now have a small core and then rotate other musicians in by the week or event. 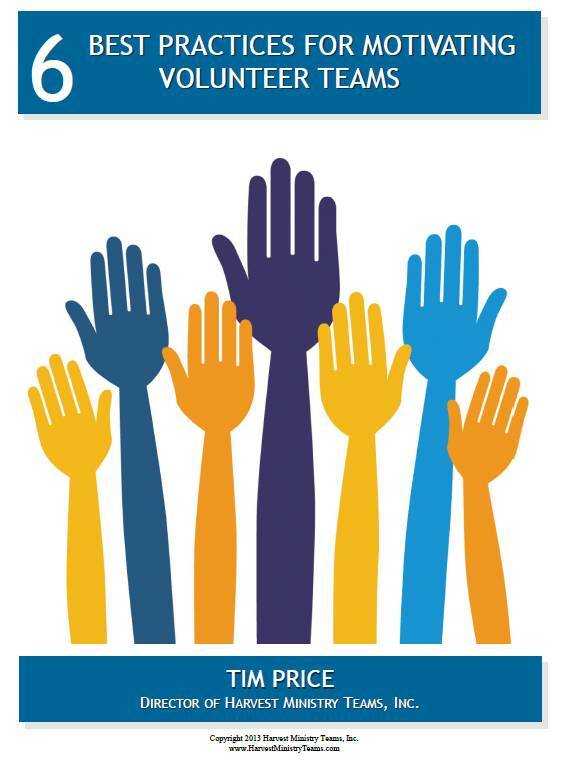 On the church front, since beginning a new, and now fourth Sunday morning worship service, the time investment for volunteers on Sunday mornings is now about five hours, not counting Wednesday night rehearsal. As a result, we rotate the participants more diligently. 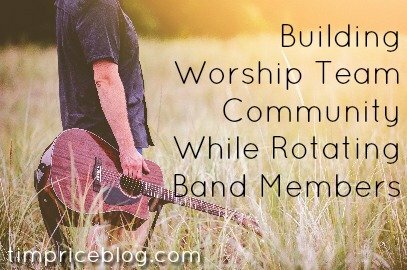 All this brings me to a question – how can you create team and ministry community with a rotating band? On any given Sunday there are about 5-7 people serving in the band and another 4-6 people serving in tech ministry. This is from a pool of approximately 30-32 people involved on a regular basis. I believe in ministry groups and their impact on people’s lives. There is something powerful about working together with a team to accomplish something together in ministry. Though the worship team doesn’t sit down to have a bible study together each week, we are investing lots of hours in the mission and ministry of this local church together. We want to be intentional about building the kind of community that helps people feel connected, loved, valued and encouraged. It makes the ministry better. Make sure the mission is clear. 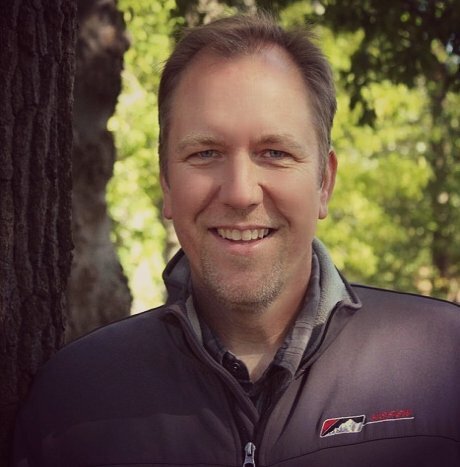 Why are we here, what is the reason we have a worship ministry team and how do we accomplish our mission together? This will help everyone feel like they are part. Ask questions, listen to people, and respond warmly. The task is both to lead and grow. If can’t be all business. Talk with people on the team each week. Text, connect, email, laugh, listen, and engage. Language is a culture builder. As people in your group use the common language and terms, a bond develops. I have been known to say, “We’re gong to plow through” when we have to get something done. As a result of this, I have heard other people say it too (they could just be making fun of me, who knows!). What common bonds do you have in your conversations and language? Some ideas for building community may include building these words, phrases and ideas into your every day talk together: 1) Thanks so much! 2) We 3) Give God Glory 4) We’re having fun! 5) Striving for Excellence 6) We’re flexible 7) We’re serving the church 8) New people are welcome on the team 9) We’re all on the same team 10) The sound guy is one of the most important people in the band, 11) That’s how we do things around here, etc. In the same ways words can build up, they can also tear down. Be sure to squelch negativity. Of course, we need to critique our ministry and make changes, but the wrong words can destroy community quickly. We recently created some simple t-shirts with the church logo and the words “worship ministry” under the logo. On the back is a scripture verse. We made these available to all the team members, including students in the two youth bands. This may not be your style, but I always think about t-shirts as a way to build community and culture. People like to know what is going on. Communication between the band needs to be solid, but not overwhelming. We need to be sure everyone feels like they have the information they need and can respond. Commit a portion of your rehearsal / meeting time to inviting people to share prayer requests and then to pray for those needs. 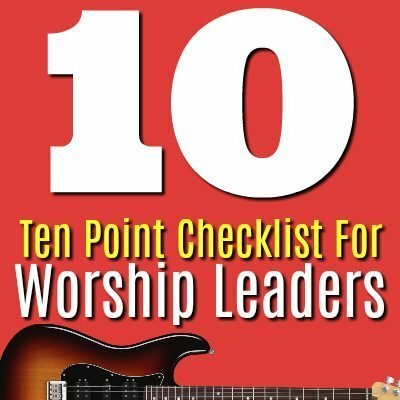 The worship team should also pray together for their church and the ministry. We currently are really good about praying before rehearsals and on Sunday mornings as we begin. We are in the process of trying to lock down a more “sit down” prayer time slot fifteen minutes before the midweek rehearsal. As much as it is possible, listen to, evaluate and implement ideas from the worship team participants. Then, as a leader, be sure to pass along the credit to those who have been involved. Nothing builds community more quickly than service together. One time we actually took a worship team mission trip to paint and clean at a children’s home. It was a great experience and I’m not sure why we haven’t done it more often. Other times, our worship team has served in the community by providing music at retirement homes and for other events. Very often, our team works together to make sure we have things spruced up and ready for worship – and in a sense we are serving together. It’s the job of the worship team to have things ready to go – musically, aesthetically, and spiritually. We need to prepare for the music and worship, we need to prepare through prayer, and when needed, we pick up the empty coffee cup sitting in the Sanctuary so things look like nice. Worship band members are servants. Mission and service should be central to our identity. I have found, as we rotate instrumentalists, some barely know each other and sometimes rarely meet. Though I know the impact and benefit of getting together outside of the Sunday morning crunch time, we have done better in some seasons than in others. In the past, we have had breakfast potlucks on Sunday morning. We have gathered for a meal or a party when a long time worship team member is moving form the area. We have had seasonal events like bonfires, cookouts, etc. This is something that can be potentially delegated; someone can take the lead on organizing community events. 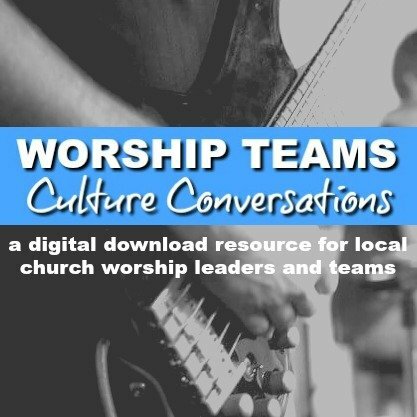 If the team gets too large, this can be done in departments, divided up by band members, vocalists and tech ministry (or any similar combination). 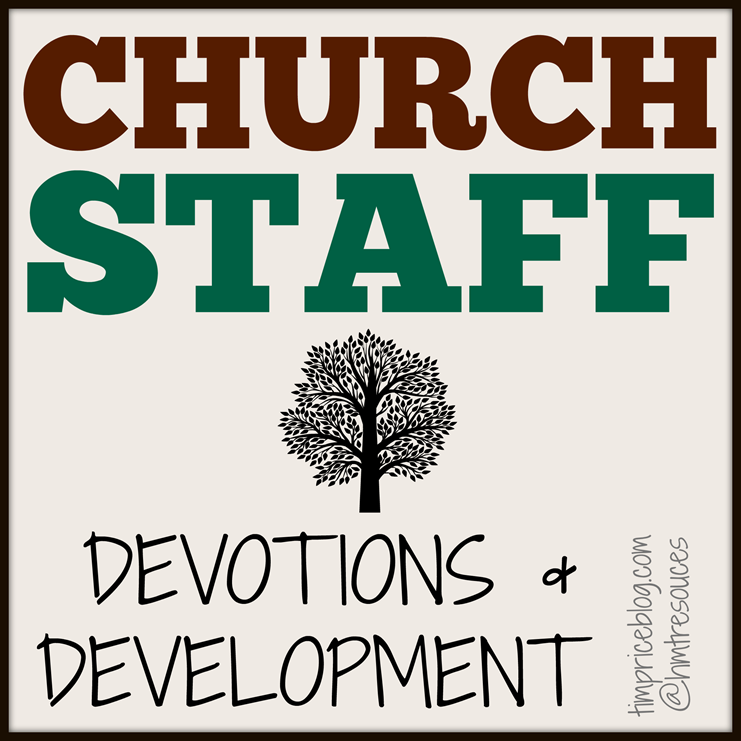 What about your worship ministry teams? How do you keep a sense of community and connection? I would love to hear your thoughts.